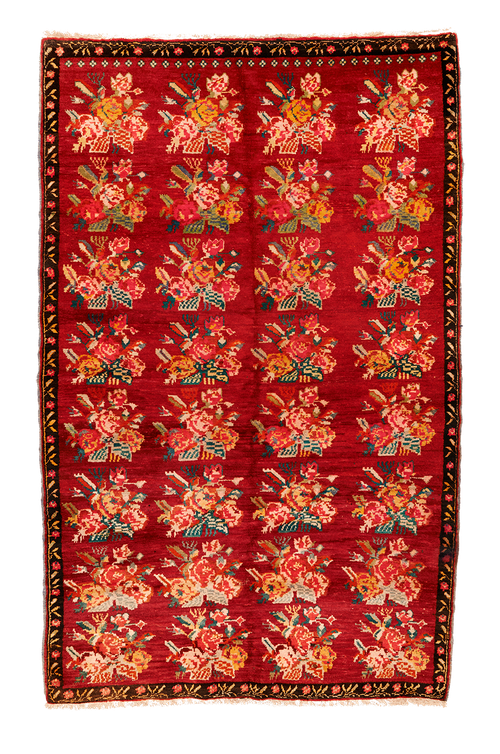 This beautiful Karabagh piece has a strong emphasis on color. The rose bouquet was a popular motif at the beginning of the 20th century. The wool is smooth and shiny. This is a very cheerful rug, which possesses a fine balance between retro-kitsch and classic elements; certain to bring charm into any home.